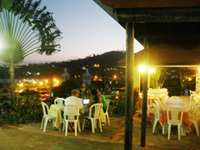 Samana Restaurants & Nighlife - Where to Eat & Where to Go Out in Samana Dominican Republic. 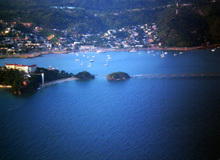 Superb Aerial View of the lovely small Town of samana with its Marina. 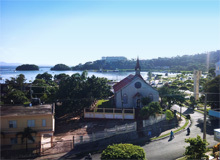 Famous Church La Chucha of Samana ( Iglesia San Pedro ) was brought by Boat in detached pieces to Samana Town in the early 19th Century. the town many WIFI Bars & Terraces. 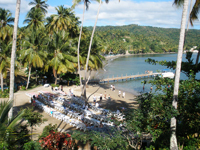 The Town of Samana offers you a fine selection of restaurants serving fresh Seafood, Chinese food, French cuisine, Italian cuisine and Pizzeria, Spanish tapas, American style food and Local Dominican specialties. 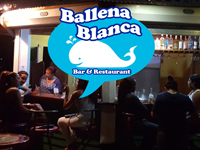 The Bar Scene is quite good with Small Bars on the waterfront of the malecon, Night Clubs, Discos and many Outdoor Terraces spread all over town with free WiFi and great views on the Marina & Samana Bay. 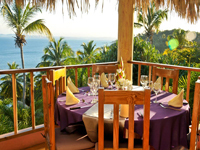 Best Restaurants in Samana Dominican Republic - Where to Eat in Samana. The cool place to meet your friends ! 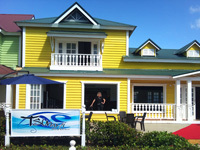 Tierra y Mar is one the best place to eat in Samana at affordable prices. Chef Evelyn who spent over 20 years in Italia will prepare you great tasting Chicken, Pastas, Fresh Fish and more. Open for Breakfast, Lunch & Dinner 7 days a week. See our Online Menu ! 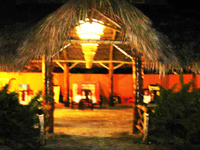 Restaurant & Bar CHINO offers Authentic Chinese cuisine in Samana for over 30 years. A real Samana tradition. 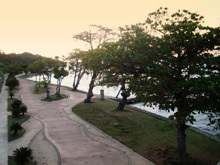 A favorite local spot amongst Dominicans and Tourists and also for foreigners living in Samana. A vast menu of over 200 delicious Chinese meals. The Best Pizza on the Malecon of Samana. 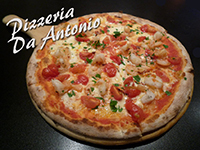 DA ANTONIO Authentic Italian Pizzeria. 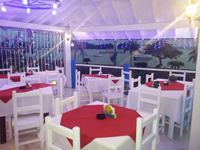 Beautiful Spanish restaurant in Samana by the Malecon with Outdoor Terrace and great view of the Marina and Bay. Spanish style decor and great choice of Wines with an extensive menu. Air conditioning. TOP Rating in Trip Advisor. See our Online Menu ! 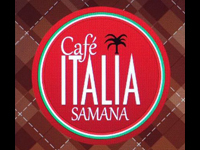 Best Restaurants in Samana Town Dominican Republic. Located only 4 Kms from Samana. Cayenas del Mar Beach Club has a superb location right on beautiful Playa Anadel. Serving Fresh Seafood and International Cuisine. Enjoy also our beach bar right by the ocean. Seafood Restaurants in Samana Bay Dominican Republic. Located only 12 kilometers from Samana town, Sol y Luna Seafood & International specialties is located in a superb tropical garden setting with outstanding views on Samana Bay. If you wish, after your meal enjoy our Infinity Pool and our beautiful beach. 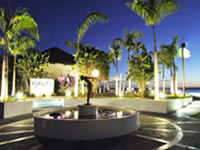 Nightlife and Where to Go Out in Samana Dominican Republic. 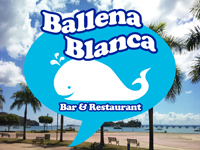 Ballena Blanca - Karaoke Night ! 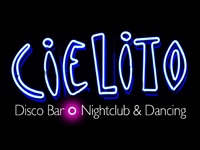 Cielito Disco is a Samana tradition for more than 10 years. Come dance to the rythmes of Merengue, Bachata, Salsa and International music. 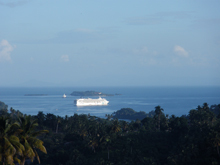 Meet the Local people of Samana and Foreigners alike. See the location of CIELITO Disco on GO Samana Map. Come dance the night away on the very best music in town in the most modern air conditionned disco in town. Great ambiance and International music & Dominican music in the only late hours night club in Samana until 4:00-5:00 AM. Come and join the fun ! World Famous Bar from Ibiza, Spain World Famous Cafe del Mar from Ibiza in Spain is now open in Samana at the PUERTO BAHIA Resort & Marina, located just 5 kilometers from the town of Samana. This very unique Bar Restaurant with infinity pool is at the luxurious Marina of PUERTO BAHIA. A Special Welcome to All Cruise Ship Passengers coming to spend the day here at the Public Beach. Fresh Pina Colada served in the pineapple and Coco Loco in coconut shell ! Come see us and say " Hola Colego !" 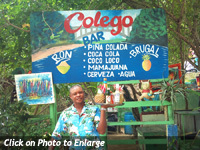 Fresh Pina Colada or Coco Loco - Only $4 u.s.